Autonomous cars are all the rage these days, and plans to turn self-driving cars into ride-hailing fleets are nothing new. What is new is a pilot program from Waymo that is actually using self-driving cars to tote people around in Phoenix. Though Waymo isn't the first company to do something like this, putting regular people into self-driving cars is still a big deal. So what does Waymo hope to learn from the program? In IT Blogwatch, we fasten our seatbelt. 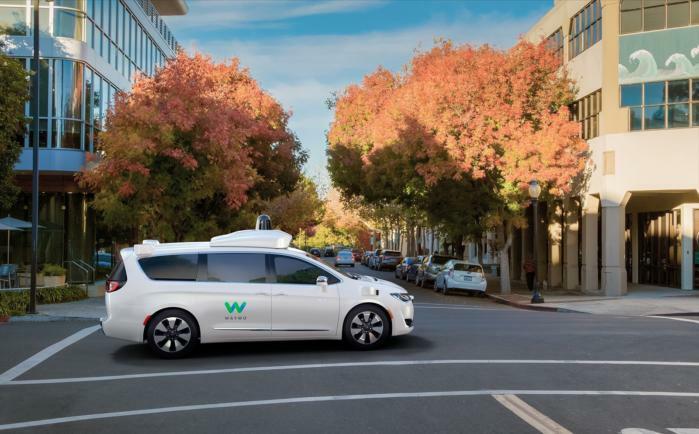 Alphabet Inc's Waymo...will begin testing a self-driving car program for hundreds of families in Phoenix, Arizona and is buying 500 Chrysler minivans to do so. [This] is the first public trial of Waymo's self-driving cars. The vehicles include human operators...behind the wheel, in case intervention is required and to take feedback. Those accepted into the program...will summon a car with an app and then go about their business. They will be encouraged to use the vehicles to go anywhere they would normally go at any hour -- the office, the movies, the supermarket, even a late-night search for ice cream. Waymo is not charging those involved in the trial...it is casting a broad net for all types of people in an effort to accumulate...data about how driverless cars will be used in practice. A range of automotive and technology companies have said they aim to produce self-driving cars for ride-hailing programs by around 2020...But Waymo's Arizona initiative shows it's getting a lot closer to the goal. By licensing its hardware and software to would-be ride-hailing companies, Waymo can...recoup its multiyear investment in the science while ride-hailing start-ups can eliminate the most expensive part of their business model: the driver. Phoenix was selected as the test market because...people are very dependent on their cars to get around. Anyone...in or around Phoenix who would like to try riding in one of Waymo’s self-driving minivans can register their interest on the company’s official website. The registration form requires users to share...basic data about their daily trips and general preferences regarding self-driving solutions...everyone...selected to participate in the initiative will be notified about their opportunity in due time. With this program...we’ll learn things like where people want to go in a self-driving car, how they communicate with our vehicles, and what information and controls they want to see inside...Early riders will play an important role in shaping the way we bring self-driving technology into the world. Waymo open the door! We're here! "I'm sorry passenger... I'm afraid I can't do that."